The 1 inch and 2 inch sizes relate to the diameter of the whole in the centre of the disc. 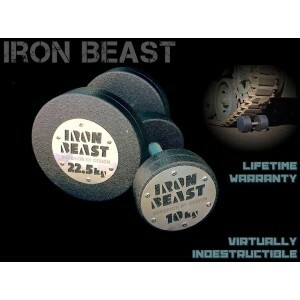 There are three different types of 1 inch standard weight discs available individually. 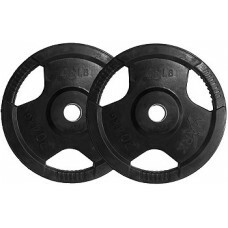 Olympic Rubber Radial discs with a handle are easier for loading and unloading your barbell however full rubber encased Olympic discs are better for Power lifting and heavier duty commercial clubs and gyms that want commercial weightlifting equipment. 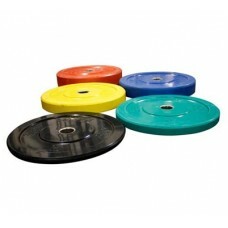 Olympic discs from 1.25Kg, 2.5Kg and 5Kg Olympic Rubber Plates are normally black. 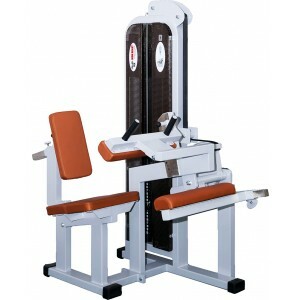 Also available are technique discs or training discs / training plates. 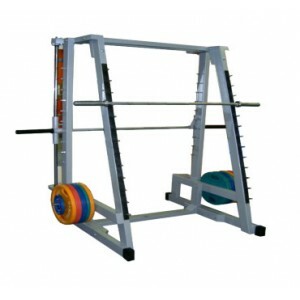 These are used to help beginners training for Olympic lifting. 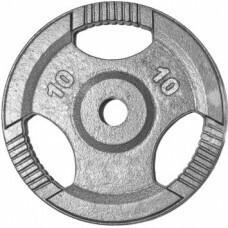 Training plates normally come in 2.5Kg and 5Kg. 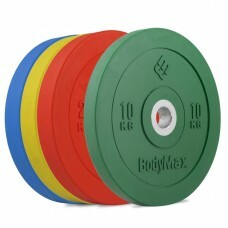 2.5Kg Olympic technique discs and 5Kg Olympic Technique discs are the normal size of a 20Kg or 25Kg IWF weightlifting disc.